Warning: Images in this story may be disturbing for some viewers. 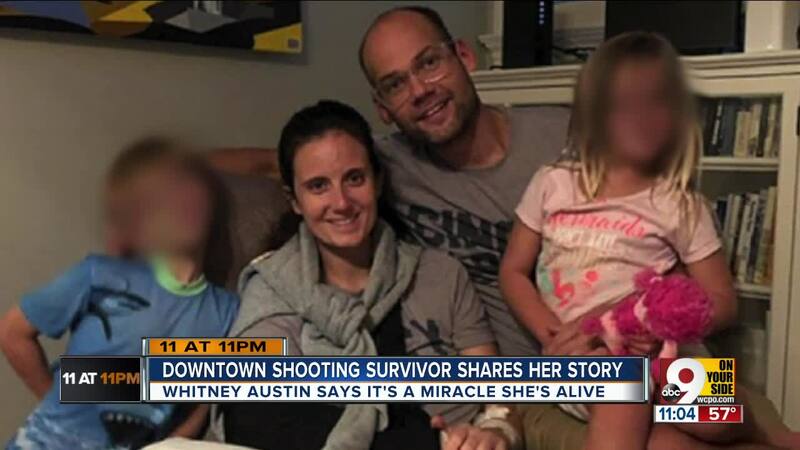 CINCINNATI -- As Whitney Austin lay bleeding, trapped inside a revolving door at the Fifth Third Center, she thought about her two young children. 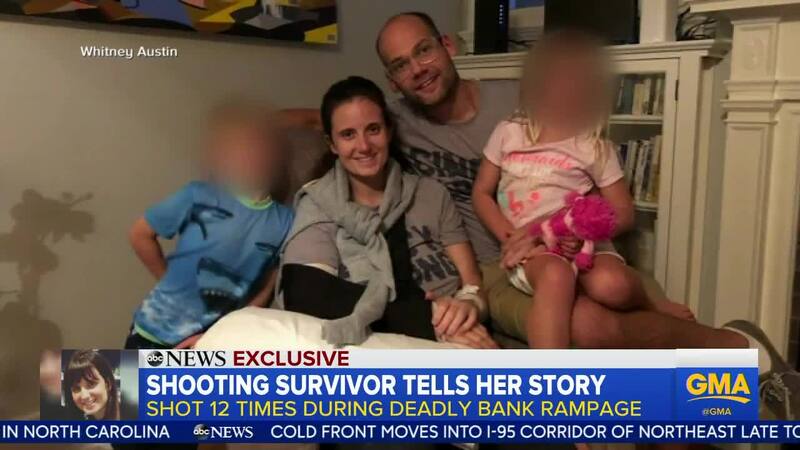 Austin, Fifth Third Bank's vice president and digital product lending manager, recalls the moment she survived a gunman's attack at the Fifth Third Center on Sept. 6. She thought she was dying once she tasted blood as it bubbled in her throat. Austin was running late to work that day. 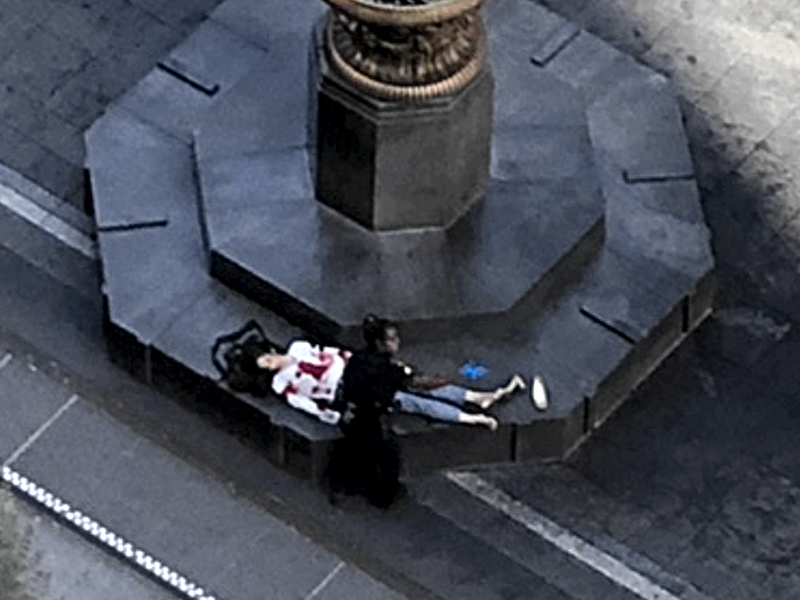 People were waving her down, trying to warn her not to go near the building. But she was focused on a conference call. Her phone was pressed to her face as she approached the entrance. 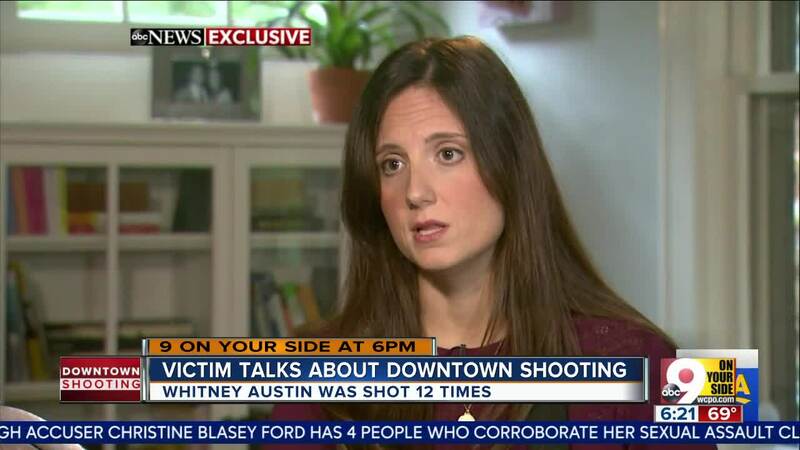 She was inches from the revolving doors when the gunman sprayed her with bullets.